Sony VPL-HW30ES review | What Hi-Fi? 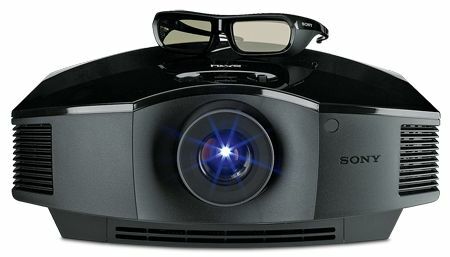 Back in Feb 2011 we reviewed Sony’s VPL-VW90ES projector. It impressed, but a £6000 price tag takes it out of the reach of most. With this HW30ES, Sony claims to have achieved much of the performance in a unit costing half as much. This 3D bundle comes with two pairs of glasses and transmitter. Take 3D capability out of the equation and you save £150. The VPL-HW30ES turns in a vivid, sharply etched performance with everything from Clint Eastwood’s low-key Hereafter to the rich, vibrant fantasy, Golden Compass. We don’t tend to take much notice of contrast ratio figures (Sony claims 70,000:1) but this projector’s contrast levels are impressive. It manages to combine deep blacks with bright whites with ease. Add nicely judged colours and a high level of resolution and this Sony builds a formidable case for itself. It copes well with motion too – we recommend keeping the processing on the low setting. Switch to 3D – we used Avatar – and the HW30ES produces a generally enjoyable performance. There’s a striking sense of depth, but as with most other 3D projectors we’ve seen, the results look a little unnatural – more layered 2D than something with convincing dimensionality. There’s a hint of instability with fast-moving scenes, though it’s better here than JVC’s otherwise excellent DLA-X30. Set-up is easy. It has a throw ratio of 1.47-2.18; menus are straightforward, and adjustments for lens shift , zoom and focus are all manual. It would be nice, though, if the lens shift controls felt more precise. The standard default picture settings are nicely judged, and we needed to make only relatively small tweaks to them to get a really good image. This projector is usefully quiet, too, with fan noise being impressively low. We also like the well-thought-out remote handset. A five-star product when we first reviewed it, the VPL-HW30ES remains extremely competent. But fresh competition from the likes of Panasonic's PT-AT5000E and JVC DLA-X30 means it can now be bettered, albeit by slight margins, in pretty much every area.